WIRED STRINGS & BRASS have begun the East Coast leg of the ADELE LIVE TOUR, kicking off with a performance at the Palace of Auburn Hills in Michigan. The Orchestra are all part of Wired Strings and Brass who have been hand picked from London and America. 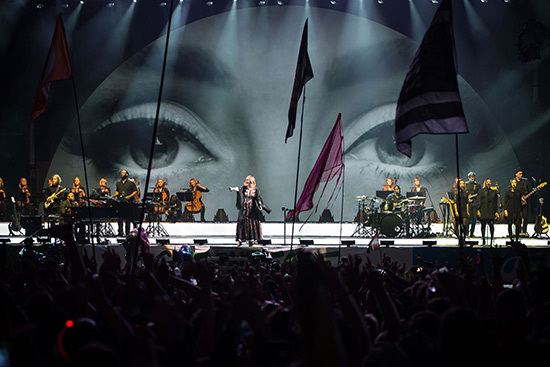 Photo: Wired Strings & Brass on stage with Adele at Glastonbury, 2016.